That's Vegetarian?! : Cherries - Probably my favorite summer fruit! Anyone who knows me, knows my passion for cherries. I will walk by the street vendors in NYC and buy 2 pounds at a time (you get a better deal). Sometimes even twice a week. I am worry that they will disappear without notice. During the winter, I get the frozen ones. Those are nice because they are sans pit. There are two basic groups of cherries - sweet and sour. 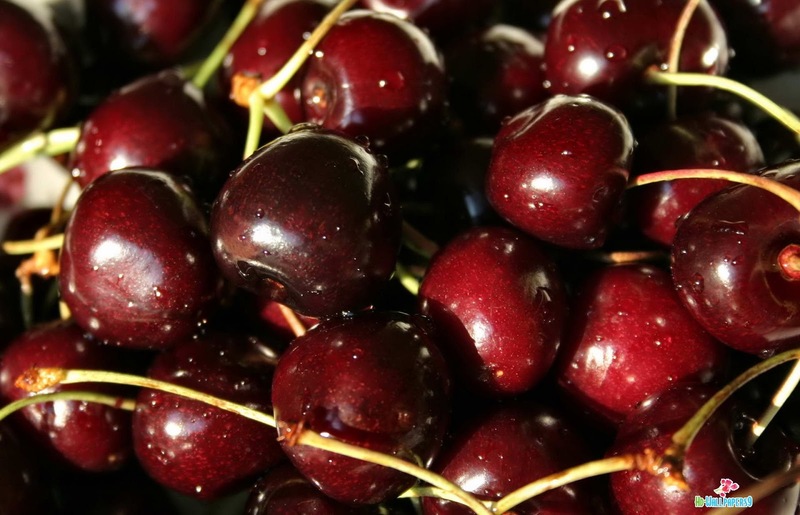 The most common sweet cherries we eat like candy include bing, black, and Ranier. The sour cherries - montmorency, are usually used for pies and fruit sauces. It is challenging to find the sour cherries. The sour cherries are slightly lower on the glycemic load index therefore raising your blood glucose a little less than the sweet ones. Antioxidants - vitamins A & C, melatonin, and beta carotene, which help fight the free radicals in the body which can damage and destroy cells. Anti-inflammatory and increased memory effects because of the abundance of anthocyanins. Contain the minerals magnesium, iron, folate, potassium, boron, and fiber. The best recipe I have for fresh cherries is to rinse and eat. Much easier than trying to cut around the pit or using a cherry pitter. Frozen cherries - put in yogurt or ricotta cheese to make a deliciously sweet breakfast and add a little amaretto and slivered almonds. Also, puree the frozen cherries in a blender or food processor for a sorbet like dessert. Perfect for the end of summer.